"I'm here at the Academy Awards - otherwise known as the White People's Choice Awards.". 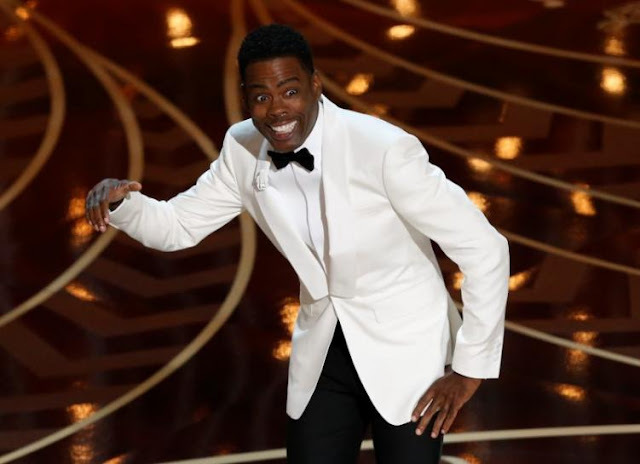 Chris Rock was on fire tonight, and used his Oscar opening monologue as a vehicle to address the #OscarsSoWhite controversy. That's exactly what one would have expected and I absolutely loved it. Jokes aside, Chris's message was clear, black actors must get the same opportunities as white actors, not just once. And this also applies to other minorities as well. Back to the ceremony, Lady Gaga brought to the stage the abuse survivors, but The Weeknd was the best musical act and had the best original song in my opinion. "Mad Max: Fury Road" got a love of love, and "The Revenant" almost left high and dry. But without further ado, let's see this years winners and losers. I wanted "The Revenant" or "Mad Max: Fury Road" to win, but it was quite obvious "Spotlight" was going to win because it is the most important film of this year. I'm just glad "The Big Short" didn't win. 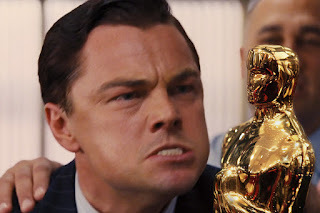 Leo finally won the damn award, and used his speech to discuss climate change. But first of all he thanked Tom Hardy, how sweet is that? And his moment with Kate? Aww! Brie won as expected and she gave a beautiful speech thanking film festivals for showing the film, and moviegoers for going to see the movie. What a huge and beautiful surprise! Mark Rylance won over Stallone. I still can't believe it. Damn! Wouldn't it be just perfect if both Leo and Kate won? Anyway, Alicia deserved it, even though she was not a supporting role. Smart move though, she would have never won over Brie. Two consecutive year, quite impressive. Wow, this probably was the worst screenplay in the category. And this was arguably the worst screenplay. I'm so happy Ennio Morricone won. Time to show some national pride.